Why BDS? Because it is our mission in life to provide you with the best possible suspension experience ever! What does this statement mean to you? It means you get a real picture of dollars invested by providing ALL the parts necessary to do the job right. Selecting a BDS lift gives you peace of mind knowing our parts fit and perform as close to original equipment as possible. It means you can sleep peacefully knowing we provide the most complete, easy to understand warranty in the industry. It means we care way beyond selling you a lift and want to make you a satisfied customer for life. Distributed only through knowledgeable Four Wheel Drive shops, made in North America, and supported by a group of people who really care about providing you the best value for your money, BDS truly provides the ultimate lifted experience. We have built a strong website to assist with application selection as well as technical information that is available 24 hours a day. We are constantly working on new Jeep, truck and SUV products and update our website when new off road parts are available. When you order from this website, you will be given contact information for your local Authorized Distributor. This Distributor will be there to assist you throughout the purchasing process and beyond. You won't get that from other online off road parts stores. The mission of BDS Suspension, a company dedicated to reliability and customer satisfaction, is to produce high quality products at affordable prices. Our warranty reflects our mission and our confidence in every product we manufacture. When you see this symbol you will know with confidence this application has been tested and successfully passed the Federal Motor Vehicle Safety Standard No. 126 test. This highly specialized test was performed to show the installation of this particular BDS suspension system, with a specific tire and wheel package would not compromise the performance and effectiveness of the vehicle's Electronic Stability Control (ESC) system. On a closed test course, the BDS Suspension equipped vehicle was accelerated to 50 mph at which point the test operator initiated the test by letting the computer take control. The computer controlled steering wheel is spun abruptly; both left and right, causing the tested vehicle to change direction and begin to slide. This event caused the vehicles ESC system to activate and regain control. When the data was analyzed it clearly showed the BDS product did NOT interfere with the performance of the ESC system. BDS Suspension was started in 1996 by a business group who felt it was past time to create a suspension company that truly had the best interest of the off road consumer as its' foundation. With over 45 combined years experience with other major suspension companies, both buying and selling, we were frustrated by the lack of quality and the unwillingness to make things right by these 4x4 companies. So we set out to create a suspension company that would be the best. We made a list of the things we felt were not right and made it our missions to correct them. We felt it wasn't right to advertise systems that were still in the development stage and wouldn't be ready for months. Therefore if you see it in our catalog, in our magazine ads, or on our website, you can bet we have it on the shelf and it’s ready for resale. We didn’t think it was fair to get you all hyped up about buying one of our systems just to find out we were "Out of Stock", therefore we never are. We didn’t think it was right you could find the same lift by the same company at 15 different prices, creating doubt as to whether you were getting everything you were entitled to for the cheapest price and forcing you to purchase 1500 miles away to get that price. So we established a network of dealers across the country. Here you get the best price from a local business whose goal is to provide you with the best service possible. Even if you buy BDS off our website, the local distributor is there to assist you. Finally, we didn't think it was right for you to spend your hard earned money on a suspension system, have a part break and be told it wasn’t under warranty. Common excuses from other suspension companies are: not properly installed, painted a different color. installed with another company's product, and you raced with it. The list is endless and ridiculous. We created the best warranty in the industry. So simple we call it our "No Fine Print" warranty and it goes like this: "If you buy it and it breaks, we'll replace it." That's it and we live by it every day. BDS Suspension. Use it, abuse it. That’s our motto. Created by people who care about our customers for their customers (you), who care about how their dollars get spent. When you want the most for your money, BDS is the only way to go. Premium suspension from experienced dealers. BDS lift kits and other Jeep, truck, and SUV off road products are not available through 4x4 mail order companies. We believe it is in the best interest of the consumer to distribute our product through a network of dedicated, experienced 4WD enthusiasts. BDS Suspension carefully selects distributors. Our goal is to find honest, experienced, retail/installers who are 4WD enthusiasts. You will be given contact information for your local Authorized Distributor when you place your web order even if you have that order shipped directly to your home. This Distributor will be there to assist you throughout the purchasing process and beyond. BDS Distributor Program Do you qualify? 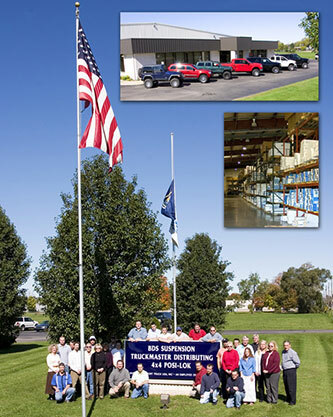 To learn more about BDS Distributor benefits and requirements e-mail us or call 517-279-2135 today! Unequaled quality backed by the ONLY No Fine Print Warranty in the business - If you are the original purchaser of any BDS product and it breaks, we will give you a new part. Period. Best fill rate in the industry. NEVER OUT. A knowledgeable tech department and excellent consumer referral program. Limited distribution. Available only through selected dealers. Premium suspension products designed by people who use them and really care about quality. Must have a retail, storefront location and be considered the go-to suspension expert in the area. Agree to recommend, advertise and promote BDS Suspension as primary suspension line. Place an opening inventory order, the amount to be mutually determined based on monthly/annual suspension sales. Provide on-site installation facilities and experienced suspension technicians. Understand and adhere to our printed Pricing Policy. We are looking for good quality international distributors. Read our distributor requirements and contact us if you believe you qualify. We are always looking for motivated, high-energy people who are willing to work hard to help grow our company. Please submit your resume' and cover letter by e-mail.